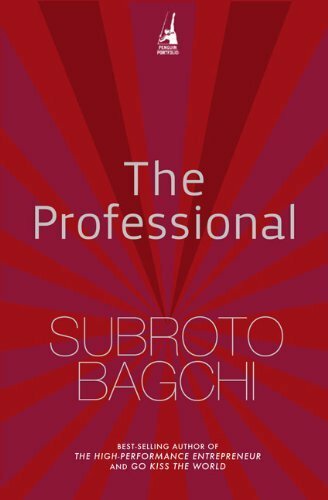 I used to believe that being ‘Professional’ is working or conducting myself, in a way, to prove “OTHERS WRONG”, mistakenly taking it as being ‘Professional’. But my biggest learning so far, on being ‘Professional’, is working in a way, to prove “MYSELF RIGHT”. Once I start working in such way, I may or may not require supervision and also I will be committed on the completion of a given task. Ankush, very well said. I am glad you are on the right track. Dear Sir,Its is good for me&I can motivate my team.Its very powerful true story. Good to know you found it useful, Vishal. i was moved reading about Mahadev, do have a contradictory thought- When Mahadev completes work he is a professional but when he does it unsupervised, I see him as a leader, who takes pride in whatever he does!! Thank you for your kind words, Sunanda. Mahadeva’s story is truly inspiring and indeed a transformational one for many of us. I am glad you found it useful and motivating. Moreover, I am also happy to note that the very purpose with which I write these blogs is getting fulfilled – there are some of you who are getting benefitted! This is the first blog of yours that I read. And I am truly inspired. All these days I thought I was a professional.But now I feel my journey has begun,to become one This makes me all the more excited about all the learning from you in future. Sanjukta – if you like reading this blog, you must read the book. It is a good start for a budding HR professional like you.